It’s easy to let bad news or bad results bother you. Some low quality work from a team member, or a bad outcome can ruin your whole day, if you let it. But there’s a better way. A way that will motivate your team, brighten your day, and show you how to be more positive at work. As we’ve written before, a positive outlook can have a big difference on how you view the world, and how your team feels working with you. However, even if you want to be more positive, it’s not easy. You can’t just flip a switch and suddenly you’re wearing rose colored glasses. Instead, you have to build new habits. That’s why instead you need to look at new habits to create that can help you be more positive. Eventually, they’ll either replace or far outweigh any negative tendencies you have that are counterproductive. Today, we share dozens of ways you can give more praise to your team and show you how to be more positive at work. Follow the links to further reading to dig into any that resonate with you most. 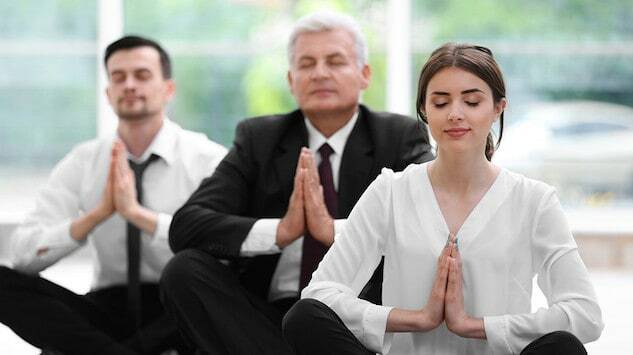 21 Ways How to be more Positive at Work through Praise and New Habits. The power of compounding effort should not be underestimated. A few small changes or new habits can tip the balance in your favor from being a little too negative, to a positive person. That number can feel like a lot, which is why today we’re going over a variety of ways you can strive for that kind of positive ratio. 1) Write down 3 things you’re grateful for each day. Research has shown this is one of the easiest ways to make yourself happy. Psychology researchers Martin E. P. Seligman and Tracy A. Steen at the University of Pennsylvania, Nansook Park at the University of Rhode Island, and Christopher Peterson of the University of Michigan looked at a variety of ways to potentially boost happiness. Who on your team are you most grateful for their efforts? What are you most grateful for about your job? How does your boss or peers give you something to be grateful for? And when you identify those work things, tell that person! You may just make their day, and you make them more likely to do more of that thing you like now that they know how you feel about it. 2) Use morning pages to write down your thoughts and feelings. “They are about anything and everything that crosses your mind– and they are for your eyes only. Morning Pages provoke, clarify, comfort, cajole, prioritize and synchronize the day at hand. If you feel like too much negativity is building up in you, rather than complaining at the proverbial office water cooler, consider writing morning pages. Learning how to be more positive starts with managing your mindset. I’m always amazed how much better I feel after I write it down. It’s much easier to focus on the positive for the day after I get any negative thoughts or conflicted feelings out of my system. Learn more approaches for creating a positive outlook here. 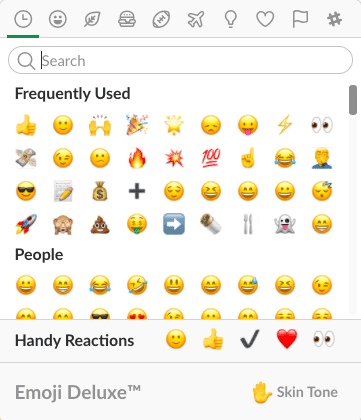 3) Use emojis in your chats. This makes it easy for things to be misconstrued: Was this urgent? Are you mad? Was that sarcasm? A little emoji can go a long way to let them know if you’re serious or not. I’m always amazed how much a Party Parrot can lighten up a simple conversation with a team member. And obviously then if something is serious, the absence of an emoji can help them know you mean business. What you do in response to your team’s comments in chat can be as important as how you write yours. By using appropriate gifs or an emoji you help your team understand: Did you see what they did? Did you read their comment? A simple “thumbs up”, “party parrot”, or “rocket” can let them know you saw it. And when you’re really excited, proud, or happy, an animated gif can share how you’re feeling when there’s no video or face to face interaction to show it. It’s one of many great ways to better connect with your remote employees. In meetings you’ll often be sharing ideas and comments all around. While it’s important to never feel like who said an idea matters in the end result, recognizing the moment someone contributes is powerful. “There might be 3 or 4 or even 10 of us in the room, looking at, say, an iteration of iPhoto. Ideas would come forth, suggestions, observations, whatever. We would “throw them into the cauldron”, and stir it, and soon nobody remembered exactly whose ideas were which. When you close the meeting it should not matter who suggested what. No one is keeping score. All that matters is the team is moving together on next steps and a shared vision going forward. However, in those small moments in the meeting where someone shares a critical insight, or a great suggestion, praise them. If you’re a respected (or feared) leader, it can be easy for your team to feel intimidated by you and want to go with your ideas. Encourage others by recognizing a good idea (“Good suggestion, Susan”, “I like that, Tom. How can we build on that?”) heading into the cauldron. It’s a great way to praise a bit more, build up the confidence of others, and signal to your team you value their input. One of the common traits of good leaders is how they share credit with their team: The striker that scores the winning goal credits the hard work of the midfield to get him the ball, the quarterback thanks his offensive line, etc. Wins for your team are just as hard fought as they are for sports teams. And what else is your team there for if not to support the reaching of goals for you and the business? Next time your team has a big win, consider how you can credit the people on your team that stepped up most. This is guaranteed to encourage those going the extra mile to continue to so. Who put in late nights or early mornings to hit a deadline? Whose work was most noticed or appreciated by a client/customer? Who went the extra mile to turn a feature from okay to remarkable? Which team members took actions to make your life easier as you delivered on this win? In coming items, we’re going to share ways you can directly recognize your team. Those all can be applied here, but do not underestimate the power of telling your boss, or those higher in your organization who you value most on your team, too. Before the weekend. DM one coworker who impressed you this week. Let them know. In today’s day and age of never ending emails, social media notifications, and quick chat conversations, you can really stand out by taking a moment to pause and be thoughtful. The best praise is specific. It tells people exactly what you liked and want to see more of. Especially for your most valued people, taking a moment to write a detailed note to them on how much you value them can be more meaningful than a spot bonus to them. Over the years, I’ve received a number of personal notes from people expressing their gratitude for something I did to help them. These have made those efforts totally worth it as I knew that the care and effort I put in was truly appreciated. I even put many of them on my wall, to easily see when I’m having a tough day. For something that you can do in 10 minutes, it can have a lasting impact they’ll remember for a very long time. You can learn more about giving praise to help in motivating your employees here. Mark C Crowley is an inspiring leader. His teams routinely ranked in the top 5% at some of the largest financial services companies in America. And how did he do that? By leading from the heart, which is coincidentally the title of his book. “Acknowledge people for exceeding whatever it was that you asked them to do. If you have 30 people working for you and 25 of them met or exceeded the goal, you have to recognize all 25. 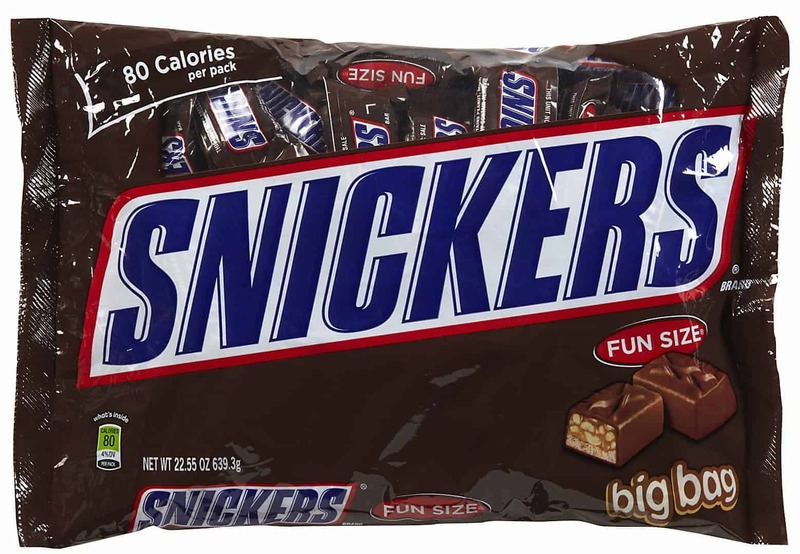 Crowley used bags of candy like the one pictured above to reward his teams. He would toss the candy to each person as he called them out and thanked them for their hard work in front of the rest of the team. This gave every person working hard a brief moment of public recognition. It also gave those that came up short a healthy moment of feeling left out; it gave them something to strive for next month. Learn more great lessons from our interview on Mark Crowley here, and his book you can check out here. When your team asks for feedback, it can be easy to focus on the things they did wrong; you’re trying to help them improve and make sure that their work is acceptable. As someone who tends to be a tough critic, this was particularly common for me. 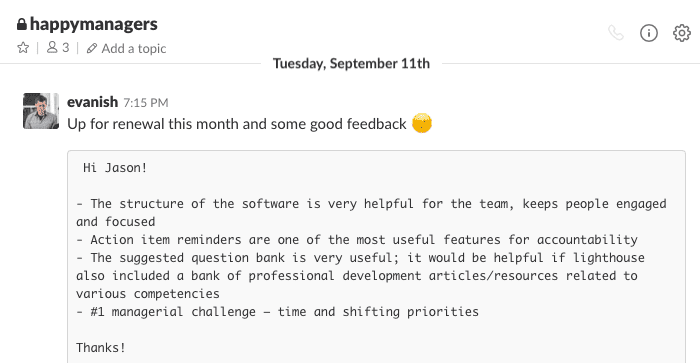 As I’ve worked on many of these areas trying to be more positive, I’ve found that one of the easiest ways to be more positive is to be sure to work in some comments of things I really like in my team’s work. Like a piece of data they found in their research? Tell them. Is their code particularly clean, well commented, or clever? Call it out. Love a visual in their report? Comment on that. Remember: You get more of what you praise. So if you like something in work you review, by telling them you like it, you show you’re paying attention and what you would love for them to continue to do. Want to surprise and thank people you enjoy working with? Sometimes a little heart goes a long way. When you build rapport with your team, you learn what makes them tick. You’ll see them as a complete human being. And when you do that, you know what they’ll see as thoughtful and uniquely appreciating them. That’s why the instagram picture above is so powerful; I got that simple figurine for an engineer I loved working with as a surprise thank you. It cost me a whopping $7.99, and not only did he post that, he texted me how excited he was. 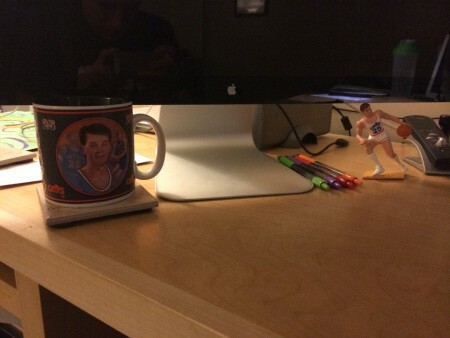 Even better, when we spoke a year later about it, it was still sitting on his desk. You may be surprised how much loyalty doing things like this can build for you. He and I are still friends 5 years since the last time we worked, despite him living thousands of miles from where I do. 81 ways to build rapport with anyone. While you should be leading by example to praise your team, don’t feel like it’s all up to you. You cannot be everywhere at once, so use your team as eyes and ears, too. Who is doing a great job? Who was the unsung hero of the last project? Which team member(s) do you enjoy working with most? Why them? Asking questions like these can help you understand who is going above and beyond for their colleagues. And once you know that, you can act. Tell this person how valued they are by their colleagues. When you do, use one of our other suggestions on this list to not just tell, but also show them that’s the case. This is one of the easiest hacks when you’re learning how to be more positive at work; you’re outsourcing some of the work of coming up with the praise, then using your position as leader to deliver and amplify it. 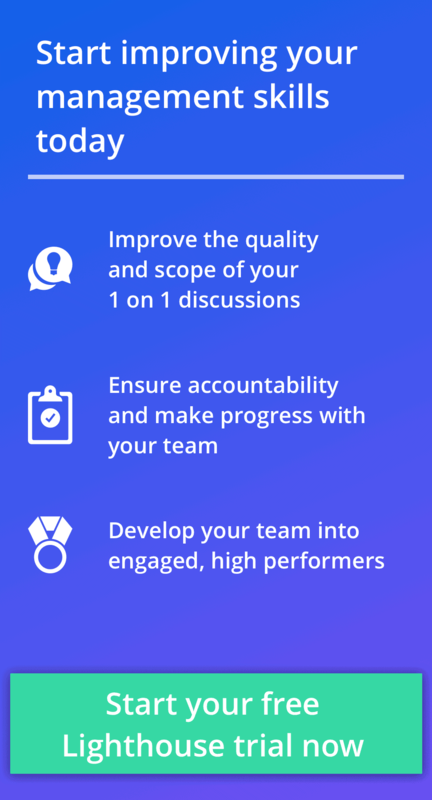 Best of all, this approach is evergreen; you can always ask your team for new feedback on who’s doing well as you complete projects and team evolves. If you’re looking for more questions to ask your team in 1 on 1s, we have you covered here. 12) Always say thank you to your team. This is a simple one that would make your grandmother proud. A simple bookend of gratitude to your team for things they do for you can set the tone for your whole team. The key with this, like so much else on this list, is to give the appropriate level and tone for the situation. If someone sends you a quick update, then a simple, “Thanks for the update” can be plenty. However, if they finally ship a big project or document to you, then dig in a little more. Just like being specific in your praise, be specific in your gratitude. Again, these kinds of comments show you’re paying attention to your team and makes a simple effort to show you appreciate what they did. This is important, because one of the easiest ways your team can become resentful is if they do not feel seen or heard; think about those times you’ve done hard work and felt like no one even noticed. Did it make you want to do more of it? Probably not. The secret meaning behind this gratitude is recognizing your team and the purpose of their work. When they can see how their work matters (which is what those second half of each of my examples is doing), it energizes and values what they do. If you want to learn more about how to think about Purpose, watch Dan Pink’s TED Talk on the 3 ways to motivate employees that matter more than money. You can also get more ideas how to thank your employees here. 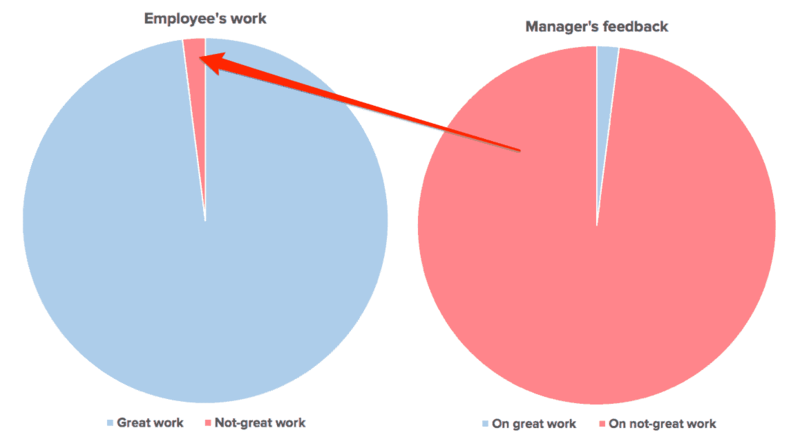 Your team wants to know you’re paying attention. But as your team grows, and you build up their Task Relevant Maturity, it’s easy to become hands off to the point of rarely checking their work. That’s why it’s helpful to remind yourself to take some time to take a look at their work from time to time. Catch problems when they’re small: Make minor corrections to improve a project in mid-development. Coach them up: Do you see patterns in their work that could improve? Now you know what to coach them up on and teach them about in more detail in your next 1 on 1. Make them feel seen/heard: By looking at their work, you let them know that you still have an occasional eye on their work and value it enough to look at it. And best of all, you take advantage of something called the Hawthorne effect. It is the amazing discovery that performance improves on your team simply by your team knowing you’re watching. It doesn’t matter how it happens (though obviously a caring approach beats a tyrannical one). So realize you have a pretty much guaranteed improvement from your team by doing this. Want help on how to give good feedback when you look at their work? This post can help you get beyond the proverbial sh*t sandwich. One of the biggest mistakes good managers can make with struggling employees is becoming overly negative. Some people respond very well to criticism, while others bristle at it. Especially for the latter, it can be really important to praise them. When you’re trying to turn around an underperformer, it can be hard to come up with positives. That’s okay. Start out telling them what they need to improve and setting clear expectations. That’s part of being a tough, but fair leader. Once they’re working on improving, you need to pay attention. When you see them improving in the areas you talked about *praise them*! As we’ve said throughout this, you get more of what you praise, so praising their improvement gets them on the path to being satisfactory. As in any praise, it needs to be genuine, so only praise it if you either A) really do like the work, or B) see the work as a major step up. It’s perfectly okay to say things like, “Hey Shannon – that was much better. I found only 2 typos in your work this time. Keep going as I know you can get to submitting work with no issues.” By doing so, you’re recognizing their effort, and reminding them where to aim. Want more help turning around underperformers? We have a manager-proven step by step approach you can follow here. When you hear good news from your customers, what do you do with it? If you’re not sharing it with your team, you’re missing a big opportunity for an easy win. I’ve never seen an engineer, designer, or support person who doesn’t like to hear good news from customers. In fact, they love it. 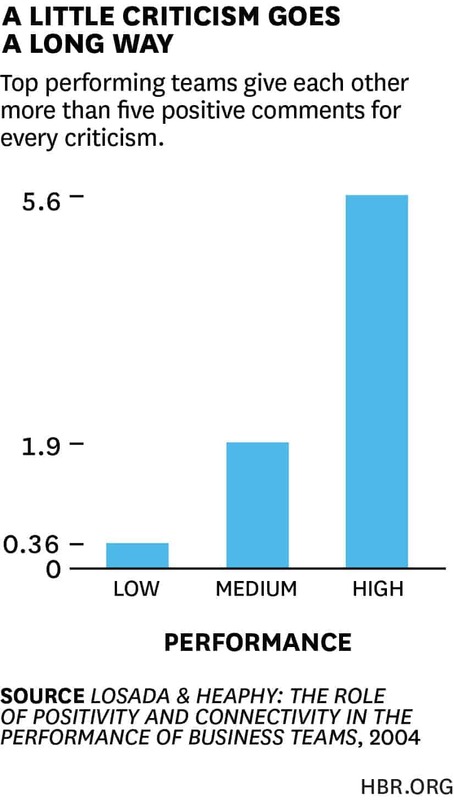 As you can see throughout this list, becoming more positive at work isn’t all on you. It’s often about finding other ways to be positive and give praise. Whether they’re internal or external customers, making sure your team knows their work is appreciated is an easy win. Rather than summarizing the message from your team (“The customer loved what you did…”), try to give them as much direct, unfiltered comments as possible. Putting names and faces to your customers can help your team remember why what they do matters, and feel closer to the customers they work hard to delight. One of the fastest ways to build resentment within your team is to take all the credit for their work. Who wants to work hard for someone who pretends they did it all themselves? Instead, share the credit. Remember: if you’re the leader of your team, then everyone should already know that you had something to do with good things happening. However, by recognizing those on your team that contributed in key ways, you ensure they feel the love, too. Tell Your Boss: When your boss credits you for a job well done, mention who on the team made key contributions and what they did. Presentations: If you’re presenting to the rest of the company, or a customer, look for opportunities to mention when someone on your team contributed. Updates: When you send updates out to your team, or to others in the company, again, it’s a great time to share not just what happened, but how people contributed. Never underestimate the power of name dropping your hard working team members. Even a few well-timed words can make a huge difference on how people feel about going the extra mile. 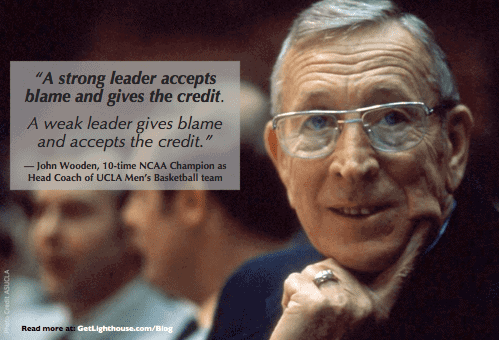 John Wooden, quoted above, knew the importance of sharing credit; he also won 10 NCAA championships with that as a key part of his leadership philosophy. Learn 6 other key John Wooden lessons here. You may not recognize Marshall Goldsmith by name, but you probably know his work. He’s the author of a number of well-known, best-selling leadership books, most notably, What Got You Here, Won’t Get You There. Basically, the idea is to focus on how someone can be better in the future, instead of dwelling on mistakes in the past. 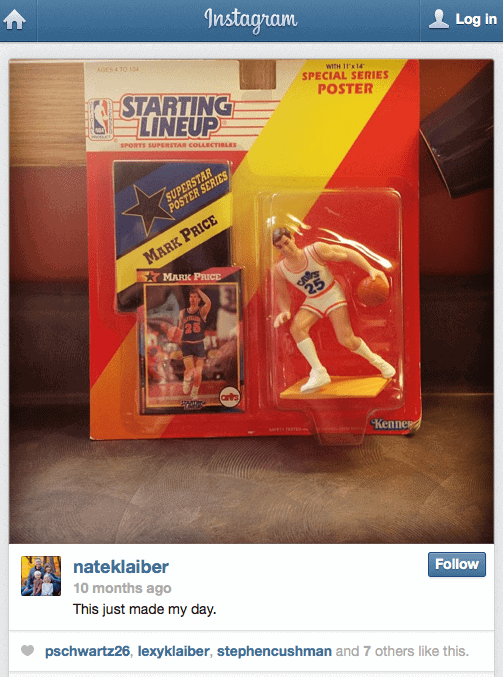 The simple steps he shares are totally different than your usual feedback. It’s a very different way to help you and your team improve, focusing on the future that lies ahead. They’re positive. Rather than bruising egos because of thinking about faults in the past, it creates the image of a better, improved future they can aspire to. It’s collaborative. Feedback can often be a one sided conversation: you tell a team member what they need to do differently. With Feed Forward, you can involve the whole team, tapping into their many experiences and ideas that can lead to improvement. It’s very actionable. It’s easy for feedback to feel beyond your control; the problem already happened and you can’t change the past. By definition, all of the takeaways from Feed Forwards are things you can take action on: the future is not set. Never underestimate the many ways how to be more positive when you’re at work. Even in giving feedback, there are ways to make them positive. Changing your mindset and learning how to be more positive at work is a process. It takes time and effort. One of the best things you can do is take time to slow down and reflect each week. It gives you a chance to celebrate wins, recognize the impact of your efforts, and focus on what you need to keep working on. Even one of the greatest leaders in early American history, Benjamin Franklin struggled with this. In fact, he was hated by many in his early years. Fortunately, as Isaacson writes, a Quaker in Philadelphia took him aside and told him how others felt. It was this feedback that set Franklin straight and set him on the path to greatness. After that sobering conversation, Franklin dedicated himself to self improvement. 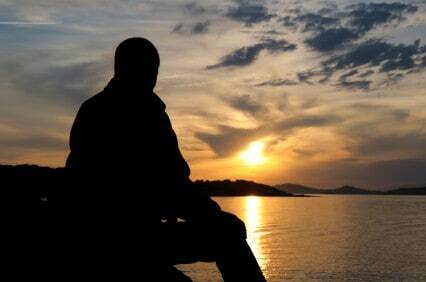 He made a list of 13 virtues he wanted to begin to live, and took time each day to reflect on how he did. While it was painful at the start, he eventually got to the point where he could go months without having to mark a failure in his notebook used to track his virtuous progress. When you take the time to reflect on how you’re doing, it can help you in a variety of ways: you can see how far you’ve progressed, recognize opportunities to improve, and be deliberate in your future plans to boost your positivity and praise with your team. You can learn more about reflection and working on your self awareness here. “I always start my morning and end the day with meditation. It has allowed me to slow down, and see where the source of a lot of anxiety, frustration, etc. stem from. 99% of the time it’s a mindset issue. Often times, the hardest part about being more positive is your mood. I’ve been there. A tough day, a moment of frustration, can make it really hard to stay on track on do and say the right things. This is exactly when meditation can make all the difference. Clearing your mind and getting perspective can help clear those feelings out so you can be the calm, cool, collected leader your team needs. You learn more tactics to help relieve stress which can trigger negativity here. A variety of research has shown that spending time in nature can relieve stress, improve your mood, and make you more likely to exercise (which has its own benefits). All this from getting outside for a few minutes a day. As a leader, you’re under a lot of stress. The best way to relieve it is to develop a variety of approaches to help manage it. 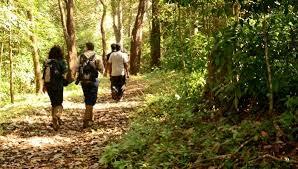 One of the best, and often easiest, tactics is to get into nature. Where do you have easy access to nature? In a park near home or work? Perhaps a spot along your commute? Find a spot and consider spending some time there each week to relax and relieve any stress. This means that if you think your team doesn’t deserve praise, or you have a negative outlook on someone, you’ll probably keep looking for and seeing negative things. At the same time, you’ll then likely miss anything good they’re doing, because you won’t be looking for that. 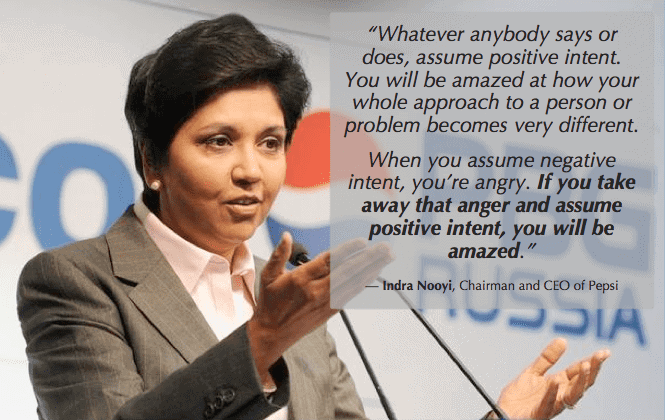 That’s why Pepsi’s CEO, Indra Nooyi’s quote is so important. If you work to create a mindset that you always assume positive intent, then you’re more likely to see positive work worthy of praise from your team. You’ll also avoid sticking your foot in your mouth by misreading a situation in a negative way. You can try to remember positive intent, or you can make it natural and easy. In a crowded bar or party, a friend bumps into you and you spill some of your drink on yourself. In a crowded bar or party, a stranger bumps you, causing you to spill your drink on yourself. Who gets the benefit of the doubt? Who do you curse under your breath or angrily confront? You don’t (and in many cases shouldn’t) have to be friends with your team, but you should build a foundation of trust and rapport. And when you do get to know them, suddenly it will be easier to give them the same benefit of the doubt and positive intent you give your friends and acquaintances. When you’re ready to be more positive and give more praise to your team, there’s quite a few ways you can do so. These tactics give you a variety of good places to start whether you’re just starting to learn how to be more positive at work, or just want to tune up your approaches. How do you build the habits of positivity and regular praise to your team? Want to be more positive and make sure you have time to invest in your team? 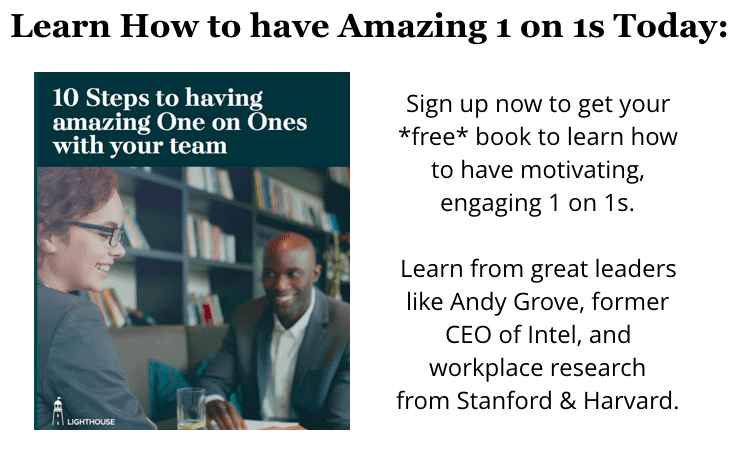 Lighthouse can help you make the most of your 1 on 1s, which should include sharing praise for work well done. Start your free, 21-day trial now here.